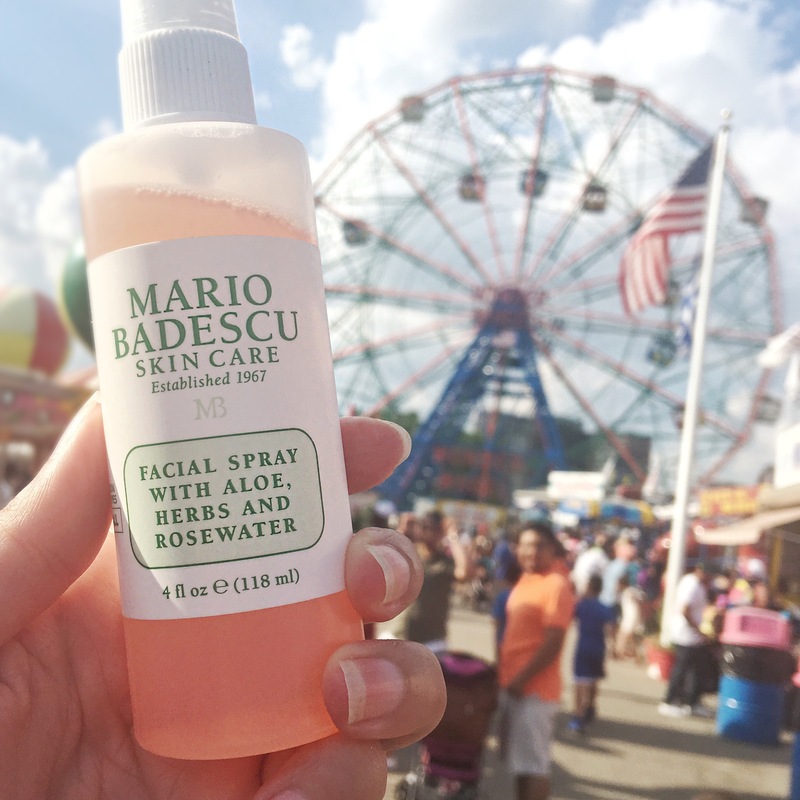 Mario Badescu Facial Spray with Aloe, Herbs and Rosewater is easily one of the most sought after products in the line. Not only is it a favorite of our amazing loyal customers (hi! ), but it has also earned space in the skin care collections of our favorite bloggers, YouTube beauty gurus, celebrities, and makeup artists. Even with all of the popularity that this item has gained, we are frequently asked how the Facial Spray with Aloe, Herbs and Rosewater should be used. Misting by the sea shore! We totally get it, it hydrates, but isn’t a moisturizer, it tones, but isn’t a toner. So, how exactly do you use it? The answer to this question is that there are many ways to use our Facial Spray with Aloe, Herbs and Rosewater, and everyone that we know has their own favorite use. What most people agree on is that the more you use it, the better, because every use makes us feel refreshed and ready-to-go! #1 Boost hydration by misting evenly to cleansed, toned skin. Follow with your daily moisturizer or night cream. #2 Mist Facial Spray as a final step after makeup application to give your makeup a natural dewy finish. #3 Need a midday beauty reboot? Keep a bottle of Facial Spray handy to refresh your face and your mood! #4 Use to moisten makeup brushes, sponges, or your Beauty Blender. #5 Give your at-home facial a botanical boost! Liberally mist skin with Facial Spray with Aloe, Herbs and Rosewater before applying your mask. Once your mask has set and is ready to be removed, mist the face one more time. This will soften the mask in preparation for removal to help avoid unnecessary tugging or pulling on skin.